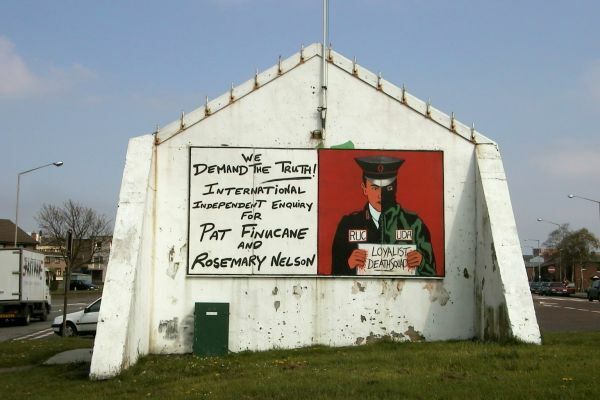 A painting calling for an independent inquiry into the killings of Pat Finucane and Rosemary Nelson. Both were solicitors and both were killing by Loyalist paramilitaries. Unlike the major more permanent murals in the Bogside these panel paintings, or street art, were of a more temporary nature. CAIN contains information and source material on the conflict and politics in Northern Ireland. CAIN is based within Ulster University.